Corruption: it's practically North Korea's primary export. In fact, the Hermit Kingdom and its cartoonish dictator are so great at being terrible that it ranks as the most corrupt country in the world. But surprisingly, it's not alone at the top. According to Berlin-based anti-corruption organization Transparency International, the DPRK tied with Somalia as the worst place on Earth. Which is really saying something -- have you ever been to the DMV? The index rated 175 nations on a scale of 100 to 0, with 100 being pristine and 0 being filthy corrupt, based on data demonstrating how corrupt a nation’s government and administration appear to be. 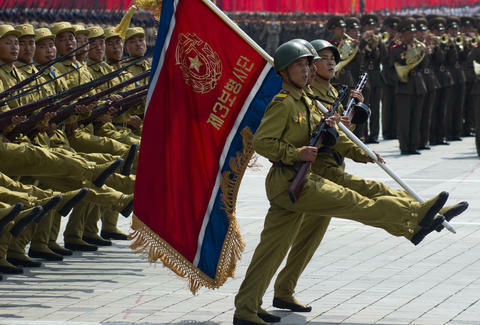 North Korea and Somalia reign together for the third year in a row with a lowly 8 points. The US ranked 17th cleanest, with 74 points, while even the cleanest country, Denmark, didn't earn a perfect score, coming in at 92 points. New Zealand (91 points), Finland (89 points), and Sweden (87 points) followed up Denmark, proving yet again there must be something in the ice in Scandinavia. New Zealand: you're basically Scandinavian. Wear that badge with pride. Check out the interactive map below to see just how morally murky the world is, and hover over a country to see its score. Hint: red is very bad, and yellow's mellow. For the full ranking, head over to Transparency International here.